Platform action game inspired by Wu Cheng'en's Wandering West, one of the classic Chinese novels. 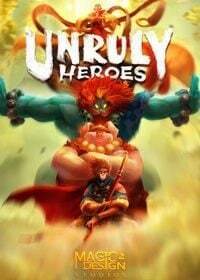 Unruly Heroes is an action platform game, which has hit the PC platform, Switch, etc., among others. An independent team of Magic Design Studios is responsible for the development of this production, for which it is a debut project. The source of inspiration for developers was Wandering West - a classic Chinese novel by Wu Cheng'ena. W Unruly Heroes We lead to the battle of one of the four heroes differentiated in terms of appearance, weaponry and combat skills. The gameplay is shown from the side and consists of wandering through vast, fairy-tale stages, avoiding traps and jumping on platforms and fighting enemies. Fanciful opponents like anthropomorphic crocodiles and pigs stand in the way of the protagonists - among them the leading bosses, which we eliminate using white weapons and special magical attacks. It is worth remembering that the blows can be combined into effective and deadly combinations. Pillar Unruly Heroes is a storyline mode, which can be completed both alone (controlling the selected hero) and in the company of up to three friends. In addition, the authors have given us the PvP module, which allows us to play online duels with other players. Characteristic feature of Unruly Heroes is a high quality graphic design, thanks to its original design presenting itself like a moving painting. The whole is complemented by a catchy, specially composed soundtrack.